Turkey has quietly increased travel restrictions for Syrian refugees that could very negatively affect aid agencies working in the country, IRIN has learned. Since 1 January, those intending to cross back and forth between the two countries will only be able to spend three months out of every six inside Turkey or face a fine of 570 Turkish lira (US$250). In addition, those who arrive at the border without a valid passport or travel documents will be turned back, NGO and UN sources have confirmed. Until 31 December, the estimated 1.6 million Syrians in Turkey were exempt from normal visa regulations in recognition of the civil war raging in their homeland. As such they had been able to move relatively freely between the two countries. The Turkish government has yet to make a formal statement about the new rules and Turkish officials were not immediately available for comment. What do Turkish elections mean for Syrian refugees? Yusuf, a 45-year-old father of four from Aleppo had waited with his family at the Bab al-Salameh border crossing for two days. The tighter rules will also have a major effect on NGOs, many of whom are based in Turkey but oversee aid operations within Syria run by local staff. Many are worried the changes will cause significant hold-ups in their operations, and could leave their staff stranded inside the war-ridden country. Adem Saad, 22, a member of the volunteer civil defence force in the town of Maarat Numan in Idlib province who now works primarily in Turkey, said it was becoming increasingly difficult for them to organise cross border aid. “The border crossing situation has become very difficult since about last week,” he said. The Syrian Expatriate Medical Society (SEMA), which provides medical care to Syrians inside the country, said the new policies were also hampering their work. “Our employees don’t have residency permission, so now they have to take the time to apply — sometime it takes a month to get the residency, sometimes longer,” Hani Himsi, Programs and Partnership Manager at SEMA, told IRIN. He said that already their representative for the central Syrian city of Hama had not been able to enter Syria because he was forced to apply and wait for his Turkish residency. To add to the anxiety, those who overstay the 90-day ruling and pay a fine on their way out of Turkey are scared they won’t be allowed back in. Turkey’s tougher entry requirements follow similar moves in Syria’s other neighbouring countries. On 5 January, Lebanon introduced new restrictions demanding all Syrians apply for a visa, while Jordan has also increased its entry requirements. Turkey has been more open to Syrian refugees than the country’s smaller neighbours – with the government providing free healthcare at public hospitals. 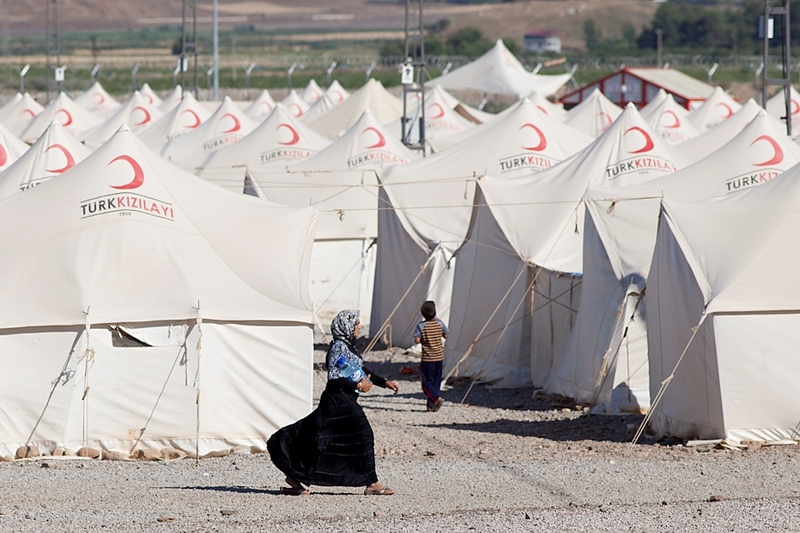 Yet late last year, the Turkish government introduced new rules demanding that all Syrians in the country register with the authorities – either as a resident or as a refugee in one of Turkey’s 22 official camps. Almost half of all Syrians currently in Turkey are unregistered partly because to obtain a Turkish residency permit they need a valid passport. The Turkish government says it aims to regulate the supply of aid across the border, as well as respond to accusations that it does not do enough to prevent the flow of foreign fighters into Syria along its long and porous border. The female accomplice of the alleged gunman in last week’s attack on a Jewish supermarket in Paris is believed to have crossed the Turkish border into Syria. The new restrictions also pose a number of challenges for Syrian refugees already inside Turkey, many of whom first arrived without a passport or have also seen their passports expire while living inside Turkey and are either unable or too afraid to apply for another one. Humanitarian aid organizations say the recent rule change is just the latest difficulty in getting aid into northern Syria. "They are trying to limit the movement of the terrorist groups in and out of Turkey,” said Orhan Mohammed, the chief executive officer of the opposition Syrian Coalition’s Assistance and Coordination Unit (ACU) - which is the humanitarian wing of the political opposition to Syrian President Bashar al-Assad. “Before I had some relations [with the Turks], and they would allow some trucks to cross the border even without enough documentation. But right now they need certain papers, they need some kind of insurance and they need all the people crossing the border to be registered and verified before they cross," he said, adding that while he understood the Turks’ concerns, he was worried that the move would prevent legitimate humanitarian aid reaching desperate people in Syria. NGOs have called for further exemptions for their staff to allow them to continue providing aid to those inside Syria. To make matters worse, humanitarians say there is a lack of clarity with different rules applied at different border crossings. “What our staff get told each time they cross seems to be different. The biggest problems are rumors, uncertainty, constantly changing information about which rule is now working,” one country manager at an international NGO providing cross-border aid told IRIN. “If the Turkish government were transparent and consistent with the rules, we could designate staff to cross more frequently so that we can train staff who work inside Syria to provide better humanitarian services."